SecretBuilders Builder Logs: Pet monkey hatches! 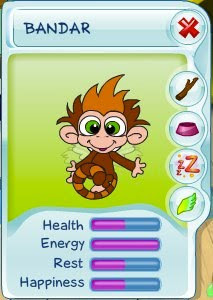 In case you haven't seen the new pet monkey, here is what it looks like. It's the cutest pet monkey you'll ever see, with big green eyes and long curly tail. Plus, it can fly! Get you pet monkey and take it with you wherever you go on SecretBuilders.